Hi Chris, I hope your story & mine can help to get the word out to as many people as possible. I have tried my best to tell friends & loved ones about this, but they don’t believe me. Sadly I have had family members who refused to even try it, thinking it was not true. They only believed what their doctor said about chemo & radiation, and they passed away within a year after being treated with chemo & radiation. 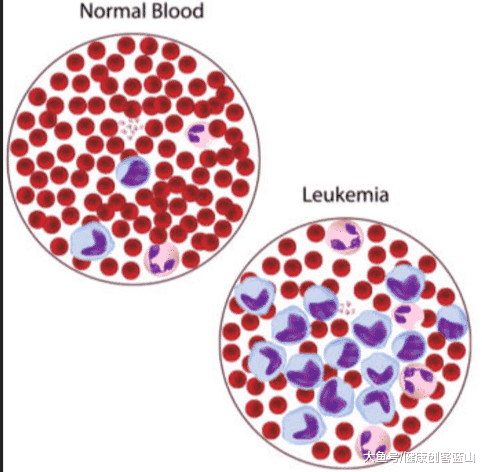 I was diagnosed with leukemia in 2000, and all I was told was that it was related to bone cancer where it starts in the bone marrow. I was sent to the cancer specialist by my neurologist as he had to check my blood levels every 6 months because I was taking Dilantin to control seizures as I have epilepsy. My neurologist told me in his office that he had been watching my blood, and that over the last ten years my white count has been rising every year, and that it was finally so high that he was sending me to a cancer specialist at Erlanger in Chattanooga, Tn. I went to the cancer specialist. He ran several blood tests, told me I had leukemia and that I would need chemo treatments. He told me to come back in two weeks. After I was diagnosed, my mother told me about a lady friend of hers who was given three months to live as she had stage 4 cancer. This lady & her husband went to another country where they put her on a veggie diet, and gave her so much carrot juice that her skin turned orange from all the Vitamin A, but this woman got rid of her cancer & lived for another 20+ years where she finally died of old age. I figured if it worked for her, then maybe it would work for me. So I prayed that God would guide me in finding everything that would help me fight cancer naturally. Of everything I found, I decided to drink carrot juice, eat raw carrots, take a clove of raw garlic before breakfast each day, and eat about 1/4 of a raw onion every day with my supper time meal. For lunch I would eat two full size raw carrots with what ever else I chose to have for lunch be it a salad or sandwich. At supper time I would eat at least 1/4 and sometimes 1/2 of an raw sweet onion with what ever we had for supper be it green beans, corn, and mashed potatoes, with broiled chicken or fish to a salad or some type of pasta dish. The garlic is strong raw, So I decided to cut the clove of garlic into small sections that I could swallow whole like a pill, and chase it with water. As far as supplements, I took a regular multivitamin from Nature Made. I also bought the same brand of Vitamin A, C, E, B6, and B12. I chose these vitamins because I had read that A & C help build the immune system, E helps with blood flow, B6 for energy & B12 for proper formation of blood cells plus boosting energy as well. I took the single vitamins along with the regular mulit-vitamin in the morning just before breakfast after I took the raw garlic. Then I would then have my breakfast which included a small glass of orange juice, a piece of toast, and two scrambled eggs. I did not tell the doctor what I did because I knew he would think I was crazy, and would not believe it anyway. My wife and I left the hospital with a big grin on our face & thanked God for showing us what to do to get rid of this leukemia which they say has no cure! I had stopped drinking carrot juice & taking garlic. I started vomiting every morning. I had back pain, problems with my hearing & eye sight, and trouble walking due to vertigo. I went to the doctor who ordered an MRI which showed a 7 millimeter tumor on my brain that was pushing against the optic nerve. Due to the position of the tumor, my neurologist did not want to operate because it could cause me to become blind or paralyzed or both. He said as long as it does not start growing larger, then he wanted to leave it alone. Since I got rid of cancer with carrot juice, garlic & onion before, I decided to got back on them to see if they would get rid of this tumor. I started on the garlic & onion again, but did not drink much carrot juice or eat carrots very often. In 2008 I had another MRI scan to see if the tumor had grown. The tumor was still there, but thankfully had not grown. That got me to thinking that maybe I needed to get serious with the carrot juice again!! I was given a heavy duty Champion Juicer by my mom and I started using it to juice carrots. I also drank Bolthouse Farms carrot juice from the store. I drank 10oz of carrot juice every morning, and 10 oz again between 5-6pm everyday for eight months. After eight months of drinking the carrot juice twice daily, combined with taking the garlic & onion daily, & eating raw carrots each day, I went for another MRI scan in 2011 and the tumor had shrank to the point it could not be seen on MRI scan!!! I still drink Carrot juice daily!! And I take the raw garlic three times per week, Monday, Wednesday, Friday, and I still eat raw onion three times per week, doing all this to prevent the cancer from coming back, and so far it is working. I am cancer free, and my tumor is gone!! I now am juicing other veggies as well, as it has made a believer out of me and my wife. We both have seen that this really works, not once, but twice!! Thank you Chris for sharing your story, I hope that others will try this and beat their cancer as you and I have.